Remember when the mention of a class bully conjured an image of a big mean kid whose only offense was stealing your milk money? Gone are the days of a tough guy who acts alone or perhaps with a sidekick or two. With the invention of the Internet, and more specifically Facebook and Twitter, the phenomenon of cyber bullying has taken on a gang mentality. There is safety and comfort in numbers, and the same is true for bullying. Still, I believe there is always that single “alpha” person, but through intimidation and fear of retribution, he or she can have a large following of hench-guys and gals – thus forming the gang or mob. And when sitting comfortably behind the safety of a computer screen, kids are more likely to voice their “inner bad,” joining easily into a bashing session of a fellow classmate. Often times, the victim is someone that they don’t really dislike; it is just so easy to join in. There are many theories as to why someone would become a follower of the bully gang: they want to be perceived as “cool” by the “in group,” they are afraid of the alpha, they fear that they may end up being the one bullied or they are just weak sheep that need to be led. Whatever the reason, the result is the same; someone gets hurt – and I don’t mean just hurt feelings. The immenseness of this problem is evident by just how many avenues anti-bullying campaigns are cropping up. Recently, I was at a salon and the TV was tuned to soap operas (talk about torture). But I was intrigued that one of the story lines was about a young boy being bullied at school. In this story, the victim was actually being wrongly accused as being the bully. I have seen this same scenario many times – the bully’s action go unnoticed or, worse, ignored, and the when the victim tries to take a stand, he or she is punished. With the national news coverage of the bully-induced suicide of 15-year old Phoebe Prince on January 14, 2010, and the subsequent indictment of nine Massachusetts teens, bullying, and more specifically cyber bullying caught the attention the White House. 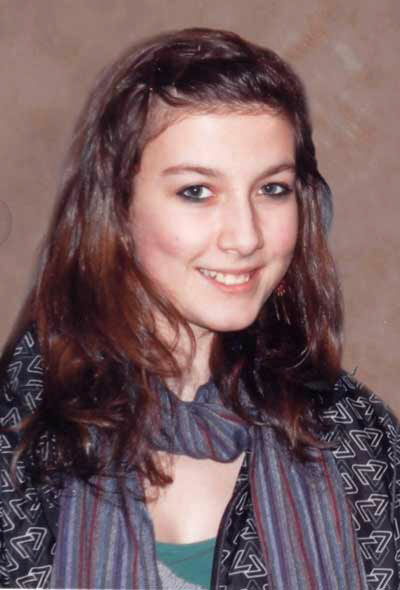 Phoebe Prince ended her life on January 14, 2010 due to bullying. According to stopbullying.gov, cyber bullying is: sending hurtful, rude, or mean text messages to others, spreading rumors or lies about others by e-mail or on social networks or creating websites, videos or social media profiles that embarrass, humiliate, or make fun of others through the use of technology such as computers, cell phones and other electronic devices. Cyber bullying peaks around the end of middle school and the beginning of high school, but it can start much earlier with more and more prepubescent kids spending every waking hour on their cell phones or Internet. Whatever the definition or the excuses for joining in (56 percent of students have witnessed or joined into cyber bullying), the results are the same – someone gets hurt. And unfortunately, many times the victim of bullying decides to end his or her life just to escape the torture. Bullying in any form is not a game. It is not funny. And it shouldn’t be entertainment. And if you think your kid is not involved, then you are deluding yourself. No matter what is being done, cyber bullying IS very prevalent in public schools. Educators are either ill equipped to handle this type of situation, are too overwhelmed or simply choose to turn a blind eye. If you don’t believe me, just take a look at some of your kids’ Facebook accounts. Check out who or what they are talking about. You will be surprised at what you see. We as parents do so much to protect and raise our children to be responsible adults. But when they spend more time on their cell phones and computers than they do talking to us, they are at risk of being influenced by the mob. And what is really sad and very scary is, like in the case of Phoebe Prince, not only did her abusers fail to show any remorse at their part in her suicide, but some of them were reported as actually getting back on FB and bragging about it. What has happened to today’s young people, the same young people who will someday be the leaders of tomorrow? Have they become so de-sensitized by hate crimes and violence that they have lost their humanity? Is it really the government or the school’s place to teach them, to stop them? I’m a firm believer that it DOES NOT take a village to raise a child, but it does take an attentive and objective parent. Get involved, turn off the cells and computers, and really get to know who your kids are. You might be surprised to learn that they too have joined a bully gang, or worse yet – that they are a victim.